Recipes brownie set. And to find that, "his", perhaps, can only by trial and error. My brownies does not pretend to novelty or originality, but the title of indecently simple in execution, he really could have earned. 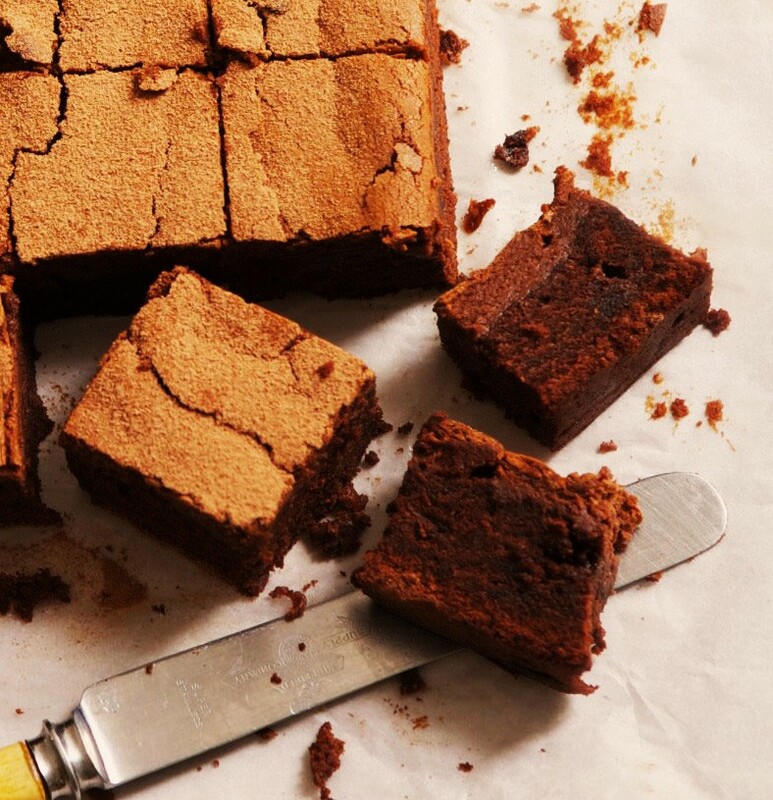 By the way, another "highlight" of brownies that he prepares with coffee (hard boiled) or dark beer. At this point you decide who is closer. I can only say that the result in both cases is similar. Yes, and I remind you: do not be afraid of alcohol in baking; after heat treatment, all of the alcohol, of course, is evaporated (your cake will not be "drunk" :), but remains only a characteristic flavor, delicate subtle notes. So first, in a bowl combine the flour and cocoa, mix a little whisk. Melt the butter in a saucepan on the fire. The fully melted butter Mince chocolate (From the fire can be removed), and stirring, wait until it is completely dissolved. When the chocolate is completely melted, add in the saucepan a cup of coffee (I) or, if you do a beer, his. Good mixer vzobem eggs with sugar and vanilla until fluffy mass. Then there gently trickle, volem (a little bit) chocolate-oil mixture. And the last - to send the resulting mixture in small portions of our dry ingredients and zest of orange (not necessarily, but I assure you, the flavor will be just crazy, I do not think a brownie without this "remarks"). Strong and long stirring mixer at this point is not necessary - the dough should be saturated with oxygen. The dough (prepared sufficiently fluid) is poured into molds, the laid parchment and bake minutes at 40 180 degrees. PS It is important to not dry up the dessert, so check willingness to stick. Who loves the texture more tender and moist (slightly sticky) - check minutes later 30-35, skewer will come out slightly damp with little pieces. If you like a thicker - then to dry skewers.